My new neightbors have an awesome garden! When the sun sets over the bluff their garden is ablaze with light! 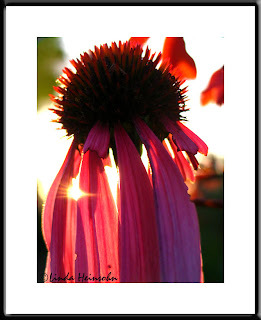 The glowing light on one afternoon drew me to this drooping echinacea flower.